The Aegis Combat System has been around since 1969, but modernizations of the Aegis fleet happen regularly, enabling the system to have the latest signal-processing technology, radar systems, electronic warfare capability, and more. In this Q&A with Jim Sheridan, Vice President of the Naval Combat and Missile Defense Systems (NC&MDS) market segment within the Integrated Weapon Systems and Sensors (IWSS) line of business at Lockheed Martin, he details the latest Aegis Combat System Baseline 9.C1 and the new capabilities it provides, the use of commercial off-the-shelf (COTS) parts and products and open architectures in the program, reduced SWaP trends, and potential game changers to naval warfare such as kinetic weapons. Edited excerpts follow. MCHALE REPORT: Please provide a brief description of your responsibility within Lockheed Martin and your group’s role within the company. 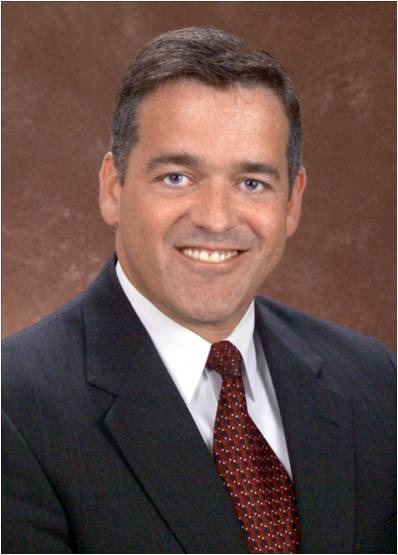 SHERIDAN: I am the acting Vice President of the Naval Combat and Missile Defense Systems (NC&MDS) market segment within the Integrated Weapon Systems and Sensors (IWSS) line of business. 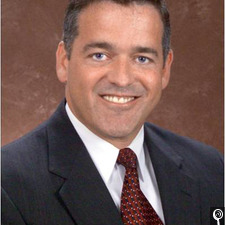 I am also the acting General Manager for the Lockheed Martin Moorestown, New Jersey, site. My group is responsible for the following roles: Aegis Weapon System computer program design, development, integration and test; Aegis Ship Integration and Test; Aegis International Programs; New Jersey Sites Operation and Maintenance; Aegis Product development for the Common Source Library (CSL); and LCS [Littoral Combat Ship] combat system development within the CSL. MIL-EMBEDDED: The Aegis Combat System has been around for many years; what capabilities does the current iteration – 9.C1 – provide? SHERIDAN: It is true that the Aegis Combat System has been around for many years; in fact, the first Aegis Combat System development contract was awarded in 1969 to RCA. RCA later was bought by GE, which then spun off the military business to Martin Marietta, which later merged with Lockheed. The Aegis story has been one of continuous evolution. The program has continued to evolve since inception to pace the threat. The current version being fielded offers the warfighter numerous new capabilities. I think the two most significant capabilities in that configuration are BMD 5.0 CU and NIFC-CA. Baseline 9.C1 offers a robust Integrated Air and Missile Defense (IAMD) capability. Both IAMD with second-generation BMD and Integrated Fire Control make these ships the most capable warships afloat – linking fire-control data with an airborne asset. MCHALE REPORT: How has the SPY-1 radar been upgraded and/or what plans are there to upgrade this system? SHERIDAN: As part of the Aegis Weapon System, the SPY radar has evolved through many variants over the years, each offering significantly increased capability over the predecessor. These upgrades are not limited to the antenna: Signal processing capability improvements have been at the center of Ballistic Missile Defense capability improvements, with the latest for Aegis referred to as the Multi-Mission Signal Processor (MMSP). The MMSP is being installed onboard destroyers receiving Baseline 9 via modernization or new construction. The MMSP is also part of the Aegis Ashore configuration. SPY-6 comes on board with Flight III destroyers. Figure 1: USS John Finn (DDG-113). Photo courtesy of Lockheed Martin. MCHALE REPORT: How many surface combatants have been outfitted with the new baseline capabilities? SHERIDAN: Six surface combatants are being upgraded, while three new are in construction. Here is a breakdown. Aegis Ashore AAMDTC has Build 18.1.3.1.1 installed. MCHALE REPORT: In the Aegis upgrades, what is your approach to using COTS embedded computing technology and open architectures? What is the mix of custom versus COTS designs? SHERIDAN: The majority of technology on Aegis modernizations is straight COTS, except in specialty areas such as the MMSP. Aegis Open Architecture was introduced with the first cruiser modernization of USS BUNKER HILL (CG 52) in 2008. Since that time, we have been able to successfully separate dependencies of the Aegis Weapon System (AWS) computer programs from specialized computer infrastructure. We routinely work with mainstream computing companies such as Mercury Systems for signal processing and other capability. When we transitioned to an open architecture in 2008 it enabled us to utilize software development tools through the Aegis Common Source Library (CSL). The CSL enables customers to rapidly integrate new capabilities and processes across the fleet in a “build once, use many times” framework. Aegis CSL can be used across a variety of platforms, ranging from multiple classes and types of ships to land-based systems. Through the Aegis CSL, an innovation or new systems integration made for one Aegis vessel can be leveraged across the fleet and around the world. It enhances life cycle affordability by reducing costs for integration, test, and certification. Common is key. This commonality allows far greater interoperability across the fleet, which will further reduce training costs and improve flexibility in crew assignments. MCHALE REPORT: How do you manage the associated obsolescence challenges with COTS? MCHALE REPORT: How have you enabled cyber protection into the latest Aegis upgrades? If so, how? SHERIDAN: We obviously have cyber requirements and are addressing those requirements with the PEO. I prefer not to get into specifics, but it is a challenge and the bar continues to be raised as to what you need to protect. MCHALE REPORT: Reduced size, weight, and power (SWaP) requirements are hitting all applications in defense electronics. How are they impacting the Aegis Combat System? What are the tradeoffs with smaller tech? SHERIDAN: SWaP has been impacting the Aegis Weapon System computer infrastructure in a positive manner. We look for ways of improving modularity, which lends itself to more rapid modernizations or technology refreshes. Reducing SWaP on programs also enables us to eliminate some cabinets and the real benefit to fewer cabinets is that you will have fewer cables. This is a big time saver, as removing cables and adding new ones takes many man-hours to not only install the cables, but to ensure the fiber-optic connection is right and that the connectors are transferring data the proper way. 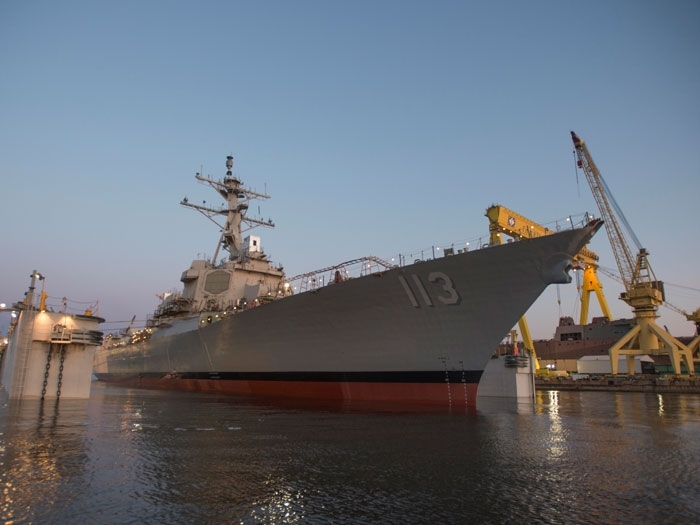 Power demands will increase on the Flight III destroyer with the addition of the AN/SPY-6 and potentially the Surface Electronic Warfare Improvement Program (SEWIP) Block III active component. Both of those items require a great deal of energy and we need to make sure the ship has the ability to deliver the power necessary for each design. MCHALE REPORT: What feedback did you get from naval crewmembers and commanders that impacted the upgraded designs – from human factors to capability enhancements? SHERIDAN: The majority of feedback has to do with the user’s experience with the system – specifically, the man-machine interface/human factors. On occasion, the displays are such that a wealth of information, sometimes too much, is available to the operator. The crewman wants as much data as possible, but too much can sometimes prevent them from executing their missions successfully. It’s a balancing act and that’s why it’s essential to work closely with not only with our own human factors groups but to get feedback from the crewmembers themselves. Crew feedback is critical for making improvements, particularly when making a new capability introduction. MCHALE REPORT: How has technology changed since you served in the Navy? What are the most impressive improvements? SHERIDAN: When I served on a ballistic missile submarine – a long time ago – I worked with monochromatic displays, which are ancient compared to the capabilities of the full color displays and user interface systems onboard Navy ships today. They are so much more intuitive now. The size of the computing plant has also shrunk significantly. I remember an upgrade back in the 1980s that we thought was exciting because we were transitioning from a 256k system to a 512k freestanding computer that was five feet tall and about a foot-and-a-half wide. The entire computing power we had on the submarine I served on would likely be exceeded by an iPhone6 today. Technology development happens so much faster today and much of the innovation is happening in software. Our CSL consists more than 50 million lines of source code. We have more software engineers than hardware engineers, as hardware has become a commodity, which we outsource to experts. Today we focus on designing militarized enclosures that enable this sophisticated technology to have a comfortable ride in maritime environments. MCHALE REPORT: As Aegis continues to upgrade its capability, the enemy threats continue to evolve as well. What threats keep you up at night and how can technology effectively combat those threats? SHERIDAN: There is not any specific threat, but rather the pace at which potential adversaries increase their capabilities and the quantity of those threats that has me most concerned. Baseline 9 and future upgrades currently in development provide capability against those threats, but we need to go faster and get these capabilities installed on more ships sooner. It takes 52 weeks to modernize ships – 26 weeks of industrial time and 26 weeks of testing. These ships are being outfitted with incredible capability, but the Navy can’t afford to have more ships offline. Funding for Aegis capabilities has been steady because the technology is proven and works, but we need to find a way to modernize ships faster, possibly by looking toward more design modularity like we do with the Aegis Ashore program. Perhaps we should be expanding beyond just the current inventory of Aegis cruisers and destroyers, helping enable Commander of Naval Surface Forces Vice Admiral Tom Rowden’s vision of distributed lethality, the adding of more combat power to all existing Navy platforms. MCHALE REPORT: Looking forward, what disruptive technology/innovation will be a game changer for shipboard electronics and maritime radar systems? Predict the future. SHERIDAN: This goes hand in hand with what keeps me up at night. Adversaries are developing weapons at a faster and faster pace and we need to be even faster. Nonkinetic and soft kill technologies such as electronic attack (EA) and laser technologies will be game changers for the U.S. Railguns will also be fielded in the future. While power technologies for shipboard applications of these capabilities will be a challenge, it is a surmountable one. Jim Sheridan, Acting VP, Naval Combat and Missile Defense Systems Lockheed Martin – Rotary and Mission Systems (RMS), has been with Lockheed Martin for more than 30 years. Currently he is responsible for all development activities associated with domestic new construction AEGIS Destroyer as well as the AEGIS Modernization Programs for both Cruisers and Destroyers. Additionally he is responsible for the Ship Integration and Test (SI&T) activities as they pertain to AEGIS programs domestic and international efforts comprising more than 140 functional employees in both engineering and program-support organizations in Moorestown, New Jersey, and four field sites including two shipyards and a Washington field office. SI&T organization also includes a program management team of responsible for managing the $60-million-per-year Ship Integration and Test contracts. Sheridan is also a retired Navy Captain following a successful 26-year career in both an Active and Naval Reserve capacity.